Maya Arulpragasam is truly an ambitious artist who scoffs at boundaries and simplicity. If Arular and Kala seemed too eccentric or haunting in an artistic sense, then MAYA is a nightmare. Drugged with chaos and delight, the record leaps with the chainsaw-frantic “Steppin Up”, defining the musician’s intent to spray your face with beat after beat. It then stumbles into the dumbfounding party track “Teqkilla”, “It Takes A Muscle” and its reggae dub vibes and the thrash-friendly “Meds And Feds” which is realistically, a raucous attempt at embarrassing pop rock and its tender underbelly. The realization “Born Free” is the album’s most radio-friendly number may invoke listeners to silence their eardrums with more comforting tunes, but it must be noted: this style was expected. 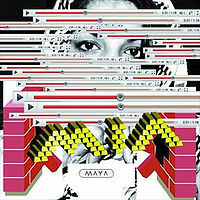 MAYA is a record that would instigate your parents to force you to live in the tree house in the backyard. From a musical perspective, M.I.A.’s creation is the mix of background melodies you’re left with when you press “Pause” while playing 17 different Super Nintendo titles in the same room. Either love it and bust a move or get the hell out. Chief songwriter Nathan Williams is somewhat of a notorious figure after gaining recognition rather quickly for a pair of lo-fi noise punk albums and admitting he probably likes alcohol a bit too much. Despite a tattered image, it takes five seconds into title track opener to realize King Of The Beach is 2010’s unofficial summer soundtrack. There is a lack of Garageband-in-your-room sound but the talent is still infectious without the unnecessary noise. 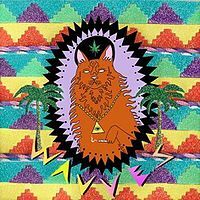 Wavves isn’t a band with the greatest voice or guitar, but its not a necessity for skate-punk hooked on retro pop and a type of confidence you’d only expect from an exceptional DIY revolutionary. 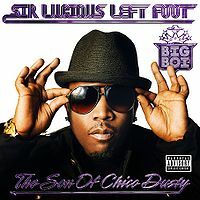 His intentions to release a solo record were voiced a while back and after multiple delays, Big Boi’s Sir Lucious Left Foot: The Son Of Chico Dusty (yes, that’s the real title) has finally seen the light of day. Is it prepared to handle the heat? That depends if you’re a fan of Big Boi. His fast-forward rhyme style is still intact and its pleasing to hear the familar voice again, but his funk-caressed proclamations feel uninspiring despite assistance from artists like T.I. on “Tangerine” and Janelle Monae on “Be Still”. The release is far from a disaster especially without the offbeat supplementary voice of Outkast’s other half and justifyingly paves the way for a well-deserved reunion. “Like a bolt of lightning / Your stoplight moves on” shrieks frontman Jack Antonoff on “Turnpike Ghost”, emitting trademark swagger with a bit of charm often found in underrated groups like OK Go. 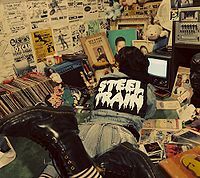 Such a description makes Steel Train an act worth listening to; their name isn’t quite neon lights material yet, but its jubilant enough to have hipsters and the like tapping their toes and swaying hair out of their eyes. The third self-titled DIY release from the New Jersey outfit takes you on a journey to a colourful room of music you didn’t know existed with emphatic anthems, pop-hungry 80s’ hooks and a fascinating battle between the piano and the rhythm section. Undeniably overwhelming like a 3D showtunes classic, Steel Train is bound to attach to some like a bloodsucking rainbow parasite full of joy.